As your retirement begins to come into view, it’s time to ensure that your financial planning has been kicked into high gear and you make any necessary adjustments to ensure its smooth transition. It can come as an unfortunate and difficult surprise if you need to move into retirement sooner than you anticipate or if you or a loved one experiences a sudden incapacity or disability. Taking care of these steps now will greatly increase your chances of being able to move into retirement sooner rather than later with peace of mind. The first thing you need to do is increase the focus on your retirement goals. Take a look again at your retirement plan to see where you stand. If you’ve somehow gotten off track, now is the time to get back on it whether it is with contributing more to savings, tighter budgeting or both. Catch up contributions can be powerful because you can contribute additional thousands of dollars to 401(k)s or IRAs depending on the specific rules. Furthermore, if your circumstances are changing, make sure that you adjust your asset allocation as your life goals alter. As your investment time frame and overall goals change, your asset allocation may change too. Plenty of financial experts suggest that you reevaluate your allocation of assets whenever you experience a major milestone in your life, or on a periodic basis. Now is also a good time to develop your social security retirement date strategy. Although social security is likely to make up only a small portion of your retirement income, it is still a crucial part of your overall strategy and it must be given ample consideration as to when it is most to your benefit to take your retirement from Social Security. There are many different financial considerations that go beyond thinking about your basic living expenses. Whether you are thinking about part-time work, downsizing, or for different ways to manage your health care costs, engaging the services of experienced professionals in the field is highly beneficial to you because it will help to clarify your goals and expectations. There has long been a perspective that people stop giving assets away to charity when they get older. But a study shows that this is simply not the case. Research completed by the Women’s Philanthropy Institute shows that charitable giving stays the same after retirement while other types of spending drops significantly. The study also identified differences in how single men, single women and married couples give to charity. Retired couples are often portrayed as not having the money or refusing to give. However, an Indiana University study found that this was not true, and this is good news for any non-profit that relies on donations received for financial support. 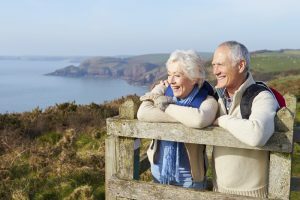 Many of these retired couples could choose to give while they still are alive and are also including estate planning charitable options when putting together their documents for the distribution of assets. The study looked at charitable giving among single men, single women and married couples starting in 2001. Overall, the report looked at data for more than 6,000 people who fit into their various categories, and individuals in these cohabitating, married or single households were between the ages of 55 and 101. The study found that the likelihood of giving to charity decreases by approximately 4% in the 5 years immediately after and before retirement. However, that was considerably less than the overall decline in general spending, which is approximately 16%. If you are contemplating including charitable giving in your overall estate planning, schedule a consultation with an experienced lawyer today. What do you have lined up for your retirement plan and the time you’ll have? You might want to stay working in a part-time capacity, but make sure you understand how that could influence your financial situation. Most people find that having something to do in their retirement that gives them an additional purpose is extremely beneficial to their wellbeing and possibly even their physical health, but it’s important to realize how retirement part time work can affect your Medicare costs and social security taxes. Older workers who decide to file for social security prior to full retirement age must account for the impact of their wage income on their possible benefits. Benefits might be reduced temporarily up to 85% and those benefits could be taxed if their combined income exceeds a particular level. A higher level of income can also push you into a bigger tax bracket, putting you in an unfortunate situation and one that should at bare minimum be anticipated. Planning ahead for retirement and for estate planning and elder law concerns should all be done together. Amassing a team of professionals who each have their individual knowledge in these areas can help you to work through some of the most common pitfalls experienced by people approaching and advancing into retirement. One of the leading concerns for the elderly today, for example, has to do with paying health care. Being able to afford long term care insurance might be something that is outside your realm of possibility, but advanced Medicaid planning can ensure that you have put projects into motion that will allow you to tap into this federal government program if and when you need to due to a sudden health care event. Only an attorney should advise you about these complicated issues and you should retain a lawyer sooner rather than later to give yourself the best possible chance of guarding yourself well into the future. A new study completed by Allianz Life Insurance Company identified that people who are trying to catch up on their savings goals feel financial pressure. 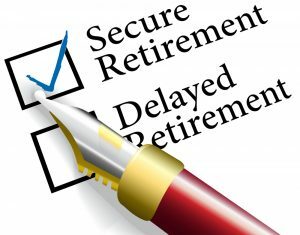 Approximately half of American retirement savers, for example, believe that they are already too behind in order to accomplish their savings goals. However, 90% of that same group agrees that being able to enjoy their future retirement hinges on accumulating enough savings in advance. Chasers are known as Americans between the ages of 45 and 65, who are currently saving for retirement and they count for 49% of Americans at this point in time. Many of them are actively saving for retirement but believe they need to catch up significantly and believe that they need help understanding the various solutions offered to them that could help to increase the savings gap in time for retirement. There are two factors that help to define chasers. First, they are people who could be worried that if they don’t accumulate savings in near future, they will not have a chance at retirement comfortably and then there are also savers who have fallen behind on where they should be in order to retire. 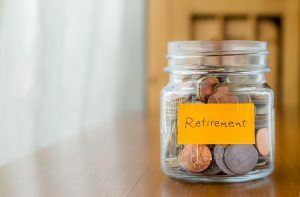 Nearly 85% of the people who participated in the study felt that they have fallen behind in their savings goals and the same percentage of them are worried that it is too late to be able to have a comfortable retirement. 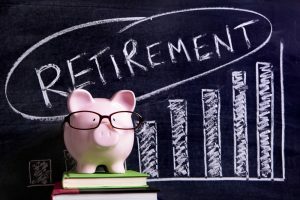 Many of them are not willing to assume additional risk even though they are desperate for additional retirement savings and the resulting benefits. 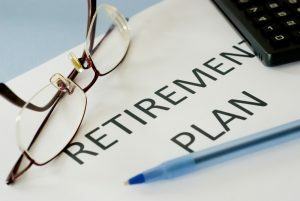 If you have not considered how retirement planning and estate planning work together, now is a good time to take a hard look at your goals with an analysis and support from an estate planning lawyer who can advise you through this process and help prepare you for what to anticipate in the future. The federal government has long provided incentives for families to save, based on three different types of tax preferences; deferral, deductibility, and tax-free distributions. For wealthier households, however, a more advanced planning strategy is required. The appropriate mix of tax preferenced vehicles should include a conversation with your estate planning and asset protection planning attorney to generate a hierarchy. The right approach considers the preferenced accounts first and after those contribution limitations have been met, this will then spill additional savings over to the following tier. When this is used as part of a holistic planning strategy, the hierarchical model helps those people with significant assets and high levels of income to minimize their tax liabilities, while also maximizing growth of the savings. Tax preferenced retirement accounts come in two different forms; traditional accounts and Roth style accounts. Roth style accounts are not deductible when contributions are made but are tax free when distributed. Whereas, a traditional account gives a tax deduction for contributions, but the distributions are ultimately taxed. These retirement accounts are, in some sense, double tax preferenced since they get tax-deferred status on assets inside the account in addition to tax free distribution treatment at the end or a deduction up front. Households that are earning $300,000 or more might have different goals than families with different incomes. Some of the most common goals for these advanced earners include building family wealth, maximizing economic value of the dollars being saved, paying for college or saving for retirement. Consulting with an experienced estate planning lawyer is strongly recommended when you are trying to figure out what is most appropriate for you and your loved ones. Plenty of Americans have not started the process of retirement planning at all or admit that they feel that they are in over their head and haven’t set aside enough money. With increasing longevity numbers and rising cost of long term care, retirement planning has become increasingly important. However, a new study completed by Northwestern Mutual indicates that many people expect to delay their retirement years as a result of financial concerns. This comes from the 2018 planning and progress study known as Living Long and Working Longer, which discusses some of the long term financial security threats currently facing the older generation. More than 2,000 adults were included in this study and 8 out of 10 people say they are somewhat or extremely concerned about being able to achieve an affordable retirement. Up to two-thirds of U.S. adults who responded in the study believes that it is possible that they will outlive their retirement savings. A total of three quarters of Americans believe that it was only somewhat likely or not at all likely that Social Security benefits would be available when they retire. Unfortunately, however, nearly half of adults who participated in the study said that they took no specific to prepare for the potential of outliving their individual savings. However, one-quarter of them did say that they had increased the amount of money they were putting aside each month. Less than 20% of people who responded in the survey had put together a financial plan to help get them to retirement and beyond. More than half of the American people who responded in the study who anticipated living past the traditional retirement age said they had to so as a result of necessity, due to a lack of confidence in social security’s ability to protect their needs and inadequate savings. Other concerns that came about as prominent in these responses included having to care for loved ones or rising health care costs. If you or someone you know has not thought carefully about how your retirement plan intersects with your estate plan, set aside time to schedule a consultation with an experienced lawyer. A new Merrill Lynch study has found that women have to work harder than men. This is especially problematic given that longevity numbers for women indicate that they are likely to live longer. A woman may outlive her spouse by 10 years or more, putting additional pressure on her if there are not sufficient financial assets to support her. Women have to start planning and saving for retirement earlier on and must also work longer in order to enjoy pension and Social Security benefits. Women often have to play catch up and worry about the fact that they live longer. Both can present serious problems. Pay and debt disparities are some of the common reasons women enter into the workplace with less opportunities than men to begin with. This means they must play catch up over the course of their life. Even combining finances with a spouse calls for additional planning opportunities as someone who may suddenly lose a spouse may be in the position of finding it difficult or impossible to move on with their life. This is particularly true if issues surrounding long term care emerge immediately. If you want to talk about how to best save your assets and then plan for them in your retirement, set aside a time to talk to an experienced estate planning attorney today. 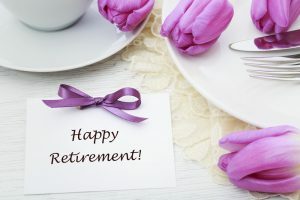 Anyone who is looking forward to their future will be cognitive of how their retirement plan connects in with their overall financial goals and their estate planning. 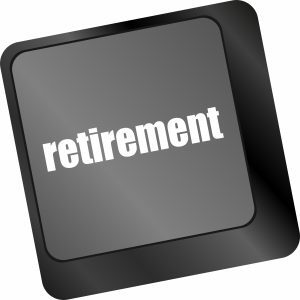 Retirement plans are often a significant asset and one that can draw in employees. A new study finds that employees in the United States marketplace are more focused on retirement benefits than on healthcare benefits and there is good reason to be mindful of this. With the average person in the United States living longer than ever before, it is important for both men and women to be aware of how their retirement benefits accumulated over the course of a lifetime can influence their ability to be stable when they do retire. A survey of 5,000 United States employees recently released this week found that two-thirds of respondents were willing to have more money taken out of their paychecks every month to support more generous retirement benefits, and only 38% of those same respondents were willing to pay more each month for better health care benefits. 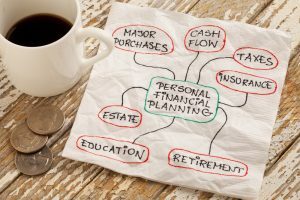 Although employees may feel vulnerable about their longtime financial prospects, you can take you future into your own hands by gathering a team of experienced professionals such as an estate planner, a financial planner, and retirement planning specialist to help you accomplish your goals. 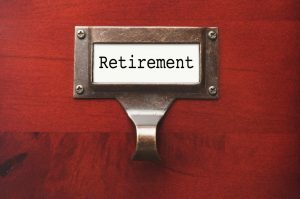 Taking on a new position certainly means a big transition in your life, but it’s equally important to think about how this affects your retirement and your estate planning concerns. Financial advisors share that rolling over your existing 401(k) funds into a new employer’s plan is not always the most appropriate fit for all employees. Other options may include taking a lump sum payout, choosing an in-plan Roth conversion or opening a new IRA. Savers may choose to leave their money where it is, although some plan administrators say that your former position may impose restrictions. You will want talk to your financial adviser as well as your estate planning professional about how this influences your current life and your future. Rolling over into a new IRA preserves the most investing flexibility, according to financial advisors. You will also need to make sure that all of your estate planning and beneficiary related materials are updated as well. When you move into a new plan, the materials inside your estate planning documents, such as your will, will be superseded by the beneficiary designation forms you have listed on your retirement accounts. This is what makes it so important to verify that these beneficiary designations are updated at least on an annual basis. Entering your retirement years doesn’t mean that you have to stop working entirely. In fact, for a growing portion of the retirement market, retirement is an opportunity to take on new and exciting side hustles. Having a side gig that helps to supplement your retirement income and gives you something to look forward to is extremely beneficial. Women also face advanced challenges with retirement because it is likely that they have not set aside enough to help support their own retirement. This is why side hustles can assist. Many of the different types of side hustles that can be beneficial for someone in their older years include those that allow them to be on their feet for a short period of time, such as dog walking. Others may benefit from working in the freelance marketplace because they are eligible to set their own hours. Working in a part-time position on a side gig, such as building a website or writing a book can also help to bring in extra income while giving your mind something to focus on and feeling as though you have transitioned into a new phase in your life. There are five core areas that you must focus on in order to cover all of your bases with regards to estate and retirement planning. 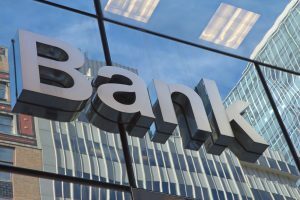 Many people often focus on one or the other and don’t realize the extent to which all of these assets are interconnected. Having a knowledgeable estate planning attorney to guide you through the process can increase your chances of success and the peace of mind provided by having a comprehensive plan that allows you plenty of assets to rely on in retirement, as well as a legacy plan to pass on those assets. Having the right guide to assist you with your retirement plan, including financial professionals and an estate planning lawyer, can give you confidence about your future. The five core areas that must be focused on for effective estate planning include income planning, investment planning, tax planning, healthcare planning, and legacy planning. Leaving out any one piece of the puzzle could lead to challenges and problems down the road, and that is why it is strongly recommended that someone retain the services of experienced professionals in a team sooner rather than later. Who Is Taking Care Of Your 401(k) Plan? 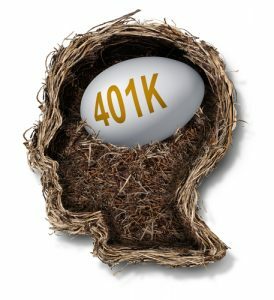 Many people make regular deposits into their 401(k) plan, which is likely matched by an employer, but have you ever thought deeply about who is responsible for looking after that 401(k) plan? This may be referred to as a fiduciary. There are a lot of stakes involved with the answers to these questions. In order to help prepare them for retirement, more than 54 million people in the United States rely on 401(k) plans, but many of these plan participants don’t know how to use them properly or how they work. A 401(k) plan is essentially a special purpose trust that is generated by your employer to help you save for retirement. The plan trustees or the people responsible for managing it are fiduciaries, meaning that they have a legal responsibility to ensure that the 401(k) plan operates in your best interest. Plan trustees also verify that your 401(k) plan meets the compliance terms of the Employer Retirement Income Security Act, also referred to as ERISA. All plan participants must be treated fairly, which means that if you identify that someone has violated the fiduciary duties owed to you in your 401(k) plan, you may have ground for a lawsuit. Your 401(k) plan will come with a formal written document, the details, the operation of the plan. The support of an experienced estate planning can help you realize other types of benefits and assets you may have that should be incorporated into your estate plan. 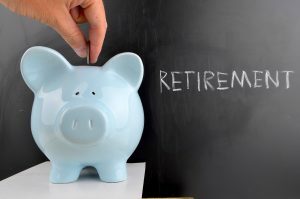 So You Are Nearing Retirement-What Financial Options Do You Need to Keep in Mind? The closer you get to your age of retirement, the more likely you are to need to engage multiple financial professionals to get all the support that you can. Individuals who are nearing age 65 might not have a plan in place yet for their actual retirement and might not know how much is in their retirement and taxable accounts. However, scheduling a consultation with an experienced financial professional as well as others, such as an estate planning attorney, can help you to articulate the goals you need to have in kind. Proper planning can go a long way towards avoiding many of the most common challenges with your retirement. An advisor can help to address many of the most common concerns presented by people getting close to retirement, including when it’s appropriate to file for social security, the most cost-effective possibilities to pay for health care including long-term care needs, how to stay ahead of inflation with your retirement planning without being exposed to too much risk, and more. A robotic advisor or someone who only provides assistance on the internet might not be able to give you the customized solutions you need. Comprehensive financial advice is especially critical when you are approaching retirement because there are so many issues that need to be addressed effectively before you enter your retirement years. Do You Have a Plan to Be Productive in Your Retirement? You need a plan to be generous with your talents in your time in retirement. By having a plan, being a volunteer positively impacts you and outlines your goals for the future. When you have plan in line, you will be able to more effectively accomplish your goals and look forward to your retirement. People spend a great deal of their lives planning for retirement, but if you do not take the appropriate care to consider what you will do during that time, it can be a very frustrating transition. A recent report by the Corporation for National and Community Service identified that there is a strong relationship between health and volunteering. Those who volunteer in their retirement years have greater functional ability, lower mortality rates and lower rates of depression later in life when compared with those who do not volunteer. Mentoring and teaching are two positive ways to make investments of your time in your future. Planning to be generous with the wealth you have accumulated over the course of your life can also help you and your loved ones significantly. For example, you will be able to chart a plan going forward for how you will pass on your assets that you have spent your entire life working to collect. Consulting with an experienced estate planning attorney is strongly recommended if you find yourself in this situation. Have You Talked to Your Adult Children About Your Retirement? 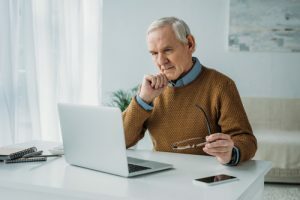 Many older people across the United States have not talked to their adult children about impending retirement plans, which can generate a lot of questions and confusion about what the future holds. A fidelity study conducted in 2016 identified that more than one-third of parents had never talked to their adult children about retiring because they felt that the conversation never came up. However, any detailed conversation about estate and financial planning, including conceptions about when retirement may occur, can give everyone greater peace of mind and confidence. Although some families still treat conversations about money, retirement, and finances as taboo, it is critical to ensure that your children give yo u a chance to say what you need to say when the topic of finances comes up. It can be hard to gauge generational gaps in conversation and lack of clarity about estate planning and retirement planning strategies, but sitting down with a lawyer can help. Before adult children make suggestions, they should do their own research. They should never come to the table without having an open mind about what their parents believe to be their own best interests. 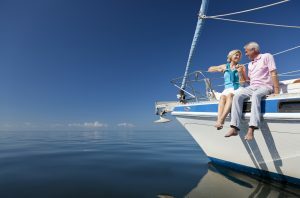 Many times, adult children may not be clear about what the parent intends to accomplish with his or her retirement planning or the assets held in place. Having a conversation about these issues, as well as any long-term care insurance policies is important. Should You Take Your Required Minimum Distributions Early in The Year? 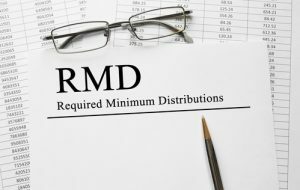 Required minimum distributions, also referred to as RMDs, are typically due by the end of the year, so most people will put them off until that point. Many people will assume that it is best to take their RMDs later in the year to maximize the tax deferred bill for as long as they can. However, there are some practical advantages to taking your RMD earlier in the year. First of all, taking RMDs early in the year puts less pressure on your beneficiaries if you were to suddenly pass away before taking the distribution. When an IRA owner who is subject to RMDs passes away before taking the distribution for the year, it has to be taken by the beneficiary. There may not be enough time to get this done appropriately if an IRA owner passes away later on in the year. Before you schedule what to do with your IRA and your RMDs it is a good idea to review all of the documents and plan beneficiary form now to avoid disputes down the road as well as confusion or conflicts after you pass away. A beneficiary form of you is an update of a simple service but a high value one that should be discussed directly with your estate planning attorney to verify that your other documents are in line. As you look ahead towards your own retirement, do you think you’ve done enough planning? In volatile times, it’s hard to tell what kind of risks you might face years into the future when it’s time for retirement. You need the support of a team of professionals who can help you guard against major retirement risks. A solid income plan should always be used to avoid problems with your retirement. 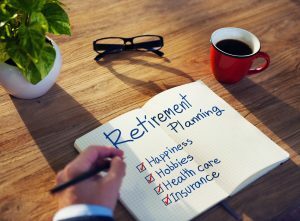 If you thought that saving for retirement was difficult, your nest egg needs to be protected well after you reach age 65 or the age at which you intend to retire. Some of the most common risks include taxes. If you have a silent partner in Uncle Sam because you have been putting away money in a tax-deferred retirement plan, you could be putting yourself at risk for less income than you expect. In addition, investment risk, inflation risk, and legacy and estate risk can all pose problems for you, if you do not have the assistance of an experienced estate planning attorney. When you know how you intend to get to retirement and what you will do to protect your assets once you get there, you will feel much more confident in the management of your estate and the fact that you have done everything possible to minimize potential risks. When putting together a retirement plan, it’s common to focus on how much your income you tend to generate before and during retirement and while this is an important detail, it’s not the only issue you’ll need to review carefully. You need to also incorporate tax planning, health care planning, and legacy planning. Tax planning is important because if you’re handing over too much of your income to the federal government, you’ll minimize what you can accomplish during retirement. Talking through options with a financial advisor is helpful and may allow you to get pointed in the right direction years in advance of retirement. Your next step should involve health care planning. Health care expenses are a crucial issue for many Americans but they are even more important for retirees. Medical issues typically keep climbing and getting more expensive over time. Long term care is the most expensive and the biggest issue that most retirees may face and many of the costs associated with it will not be covered by Medicare. Having a plan including long term care insurance well in advance can assist you with navigating the complexities of these issues. Finally, if you have a family, there is a good chance that you intend to leave something behind for them after you pass away. There are many different ways to structure an estate plan and different tools that you can use but all should be put together with the experience of a knowledgeable estate planning attorney. Understanding the various options available to you and the most appropriate way to pass on those assets is important. Do not hesitate to schedule a consultation with an experienced estate planning lawyer today.